This How It Works Illustration for Microvision tells the story of their laser pico projector. 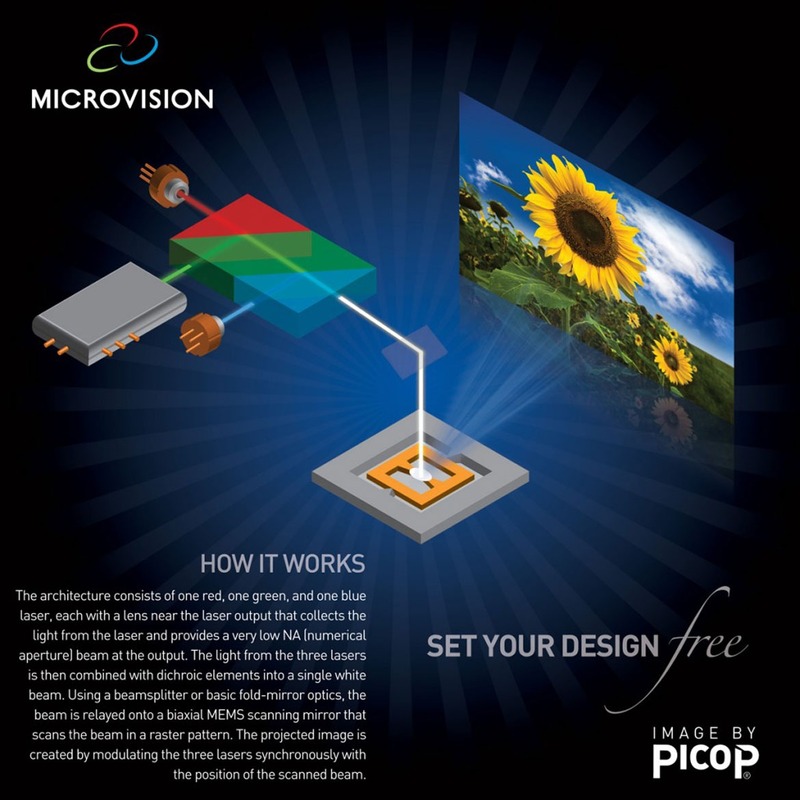 Poster-sized signage of this technical illustration was used in Microvision’s booth at multiple industry trade shows to support the product’s launch. Developed original isometric 3d concept, then collaborated with internal engineering department to confirm technical accuracy. Finally, image was typeset and composed.